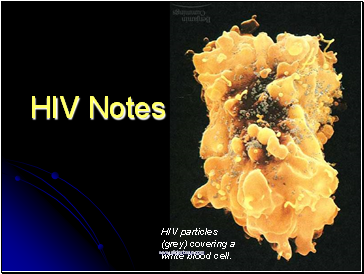 HIV particles (grey) covering a white blood cell. 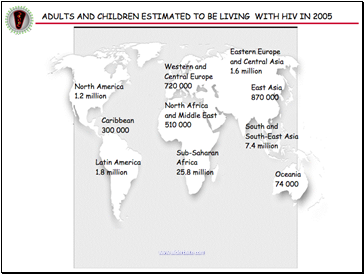 HIV is thought to have entered into humans somewhere between 1914 and 1940. 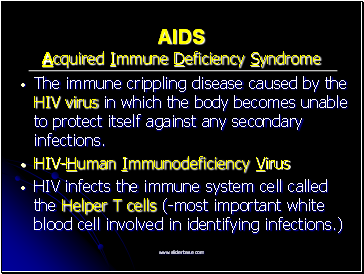 In 1983, a retrovirus, now called human immunodeficiency virus (HIV), had been identified as the cause of AIDS. 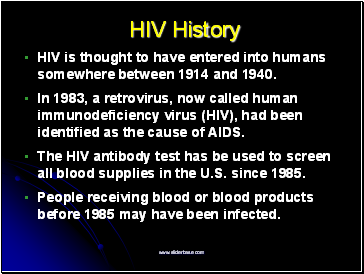 The HIV antibody test has be used to screen all blood supplies in the U.S. since 1985. People receiving blood or blood products before 1985 may have been infected. The immune crippling disease caused by the HIV virus in which the body becomes unable to protect itself against any secondary infections. Tattoos/body piercing if equipment is not clean. NO! Drugs are available to manage the disease, but HIV stays in the body forever! PROBLEM: RNA viruses mutate at a very high rate. 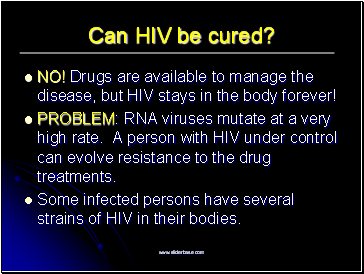 A person with HIV under control can evolve resistance to the drug treatments. 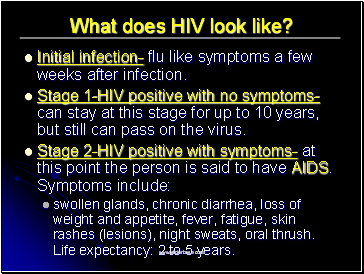 Some infected persons have several strains of HIV in their bodies.